NDP Leader Jagmeet Singh speaks during the federal NDP convention in Ottawa on Feb. 17, 2018. 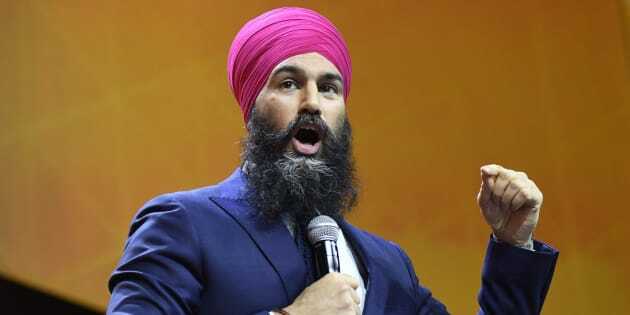 The NDP took a hard turn to the left at its bi-annual policy convention this week, as Jagmeet Singh gave Canadians a sneak peek at the party's much-anticipated platform. Floating universal pharmacare, dental care, and even eye care, how left can the NDP go? And then there were the resolutions that didn't make it to the convention floor — 12 of them calling on the NDP to endorse a more pro-Palestinian stance were not debated, leading to some fiery exchanges. Listen below as HuffPost Canada's Althia Raj digs into Singh's policy commitments in a one-on-one interview, and the Follow-Up podcast brings you lots of interesting voices from what the party calls its youngest and most diverse policy convention.